This is our 18' Blue Wave Curve Slide and a huge favorite! 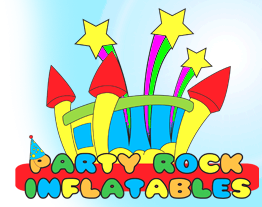 Make the plunge down the slide and curve into a splash pool or padded landing below. 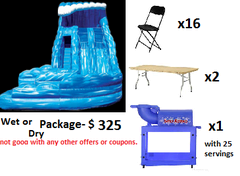 This package includes 2 6' tables, 16 chairs and a snow cone machine with 25 servings.